The Istituto Giannina Gaslini is a National Public Children’s Hospital and Research Institute located in Genoa, Italy. Created out of an act of love and solidarity by Senator Gerolamo Gaslini, started its activity in 1938. In 1956 the Istituto Gaslini was recognized as national public children’s hospital and research institute. The activities of Gaslini include health care, research, teaching, and continuing education of the hospital staff. Research is a strategic objective of the Istituto and is mainly aimed at translating research results into the clinical practice. The Istituto Gaslini is a multidisciplinary, highly specialized reference centre with national and international catchment area. It is the only hospital in Italy providing specialist and sub-specialist care, both medical and surgical, for mothers and children. Therefore, it is a national referral centre for complex diseases affecting newborns, children, and adolescents requiring highly specialized treatment. The Institute has 20 interconnected buildings distributed over a 73,000 square meter area (15,000 square meters of green area) on a hill sloping down to the sea. The hospital staff members are over 1,800, including 264 physicians and 845 nurses. Beds available for ward hospitalization, for day hospital admissions and for day surgery are over 300. On average, hospitalizations are over 29,800/year and outpatient admissions over 536,000/year. Emergency Dept. admissions are over 37,000/year. More than 42% of patients come from all regions of Italy, mainly Sicily, Piedmont, Apulia, Campania, Lombardy, and Tuscany. Annually, 4,4% of patients come from abroad. The Gaslini meets the international excellence standards for safe health care delivery. The Institute has been accredited by Joint Commission International since 2007. It counts over 25 reference and highly specialized centres. The Istituto Gaslini hosts facilities and staff of the University of Genoa under a formal agreement. Degree courses in Medicine and Surgery are held at Gaslini, and residency programs in pediatrics, neuropsychiatry, and pediatric surgery are also carried out. The Gaslini has established collaboration agreements with over 250 national and international institutions and health care facilities all over the world, through these agreements the Institute promotes continuing education and training of staff of local children’s hospitals and is actively involved in many humanitarian projects, even in post-war areas. The whole hospital staff contributes to the development of research programmes that are grouped into 5 lines, namely: innovative diagnostic-therapeutic strategies and rare diseases; pediatric sciences, surgery, and neonatology; rheumatology, immunology, and autoinflammatory diseases; hematology, oncology, and cell therapies; muscular and neurologic diseases. The annual Impact Factor, an international bibliometric indicator, is over 1,550 with over 300 publications in international journals. 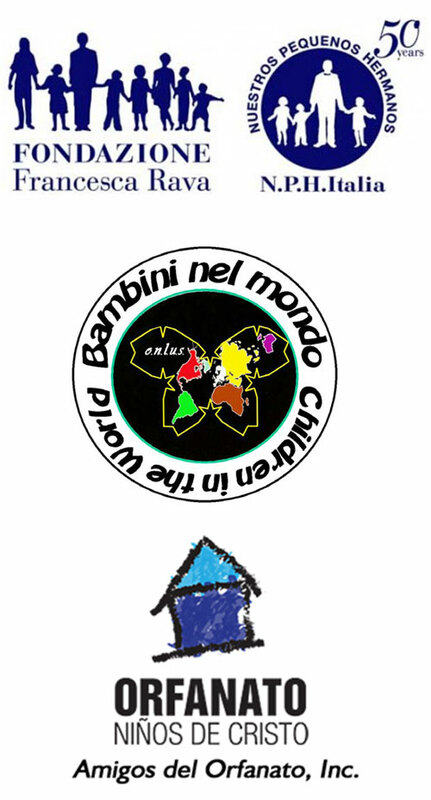 In 2011, the Giannina Gaslini Children’s Hospital launched a programme aimed at the development and strengthening of its External Relations, with a particular focus to local, national and international inter institutional relations. Under this program, the Hospital entered into partnerships with many and varied subjects: top children’s hospitals in Italy and abroad, Ministries of Health, healthcare facilities in developing countries, Foundations, Associations, Ngos, etc. Enable the Institute to strive for excellence through comparison and benchmarking with leading healthcare facilities. To provide training and education activities, as well as advanced medical and surgical treatments for selected patients, to healthcare facilities located in developing countries or in post-conflict areas. Istituto G. Gaslini & Hospital Pediátrico "José Luis Miranda"
Implementation of an innovative hemato-oncology and bone marrow transplantation program. To provide training and education activities, as well as advanced medical and surgical treatments for selected staff and patients of healthcare facilities located in developing countries or in post-conflict areas. These partnerships include the set of activities carried out on a voluntary basis by Gaslini staff (medical staff, nurses and other health professionals) upon their own personal initiative, or through specific third parties initiatives (voluntary associations, non-profit organizations, foundations, etc..) without the direct involvement of the Institute, whose role is derived solely from the existence of an employment relationship with the parties concerned. Gaslini staff has participated, and still participates, in international humanitarian missions (during the Balkan War, the conflicts in Iraq and Kurdistan, etc) in order to treat ailing patients and provide on-site training to health personnel. Starting from 2010, thanks to the Solidarity Fund of the Liguria Region, the Hospital has performed several surgical procedures on foreign patients from all over the world, especially from the Southern Mediterranean basin. These initiatives were made ​​possible thanks to the collaboration with the voluntary associations that support the Institute. Gaslini Hospital provides training activities for medical and nursing staff of Monkole Pediatric Hospital, in the field of pediatric surgery and obstetric and gynecologic surgery. Increase the number of paid patients admissions and offer paid advanced training services . Improving child health and providing excellent pediatric care is Gaslini Children’s Hospital goal and mission. Should you be interested in partnering with Gaslini Children’s Hospital, please contact our International Affairs Office, or send a request of partnership addressed to Gaslini Children’s Hospital Chief Executive Officer (direzionegenerale@gaslini.org ) and copy the International Affairs Office (international@gaslini.org). Every year Gaslini Children’s Hospital welcomes several hundreds of children coming from 70 to 90 countries all over the world. Most of Gaslini Children’s Hospital foreign patients come from Europe and the Southern Mediterranean basin, such as Spain, France, Morocco, Tunisia, Egypt, Siria, Lebanon, Palestine, Albania, Greece. and within the same agreements, Gaslini staff has conducted several training-on-the-job missions in Morocco, Tunisia, Kurdistan, Honduras, Kosovo, India, Haiti, Nigeria, Dominican Republic, Cuba, Kazakhstan, Iraq. Gaslini Children’s Hospital is pleased to host, at its premises, medical staff, nurses and healthcare professionals for off-the-job training sessions on rotational basis. The Gaslini Children’s Hospital currently offers customized training program, both on-the-job and off-the-job, as well as via telemedicine. During the last decade, Gaslini Hospital has received hundreds of requests for advice by teleconsultation. These requests mainly concerned the following areas: dermatology, infectious diseases, nutrition and metabolic disorders, cardiovascular disorders, nephrology, surgery, pulmonology, orthopedics, neonatology, gastroenterology, immunological disorders, neurosurgery and ophthalmology. Recently, Gaslini Children’s Hospital has equipped itself with a web portal called “NetCare” https://netcare.gaslini.org, designed for the management of telemedicine requests and for the provision of teleconsultation and second opinion services. Thanks to this web portal, the Institute receives multimedia documents, DICOM files, images, digital documents of different sizes, etc, by private and public partner institutions seeking a second opinion or a tele-consultation for a specific clinical, diagnostic case. Anyone can access this web portal, from all-over the world, at the following URL: https://netcare.gaslini.org and send a request to Gaslini Children’s Hospital staff, upon enrollment. Each teleconsultation request can have several enclosed files of any extension (Word/PDF/rtf files, avi videos, images, DICOM files, etc). Within the international partnerships of Gaslini Children’s Hospital, NetCare web portal is already used for handling the tele-consultation requests addressed to the Cardiac Surgery Unit by the Clinical University of Pristina, Kosovo. In the next future, all the partners of Gaslini Children’s Hospital, nationally and internationally, will benefit from this innovative tool.